Part five of six in the 2017 edition of our annual PyCon Must-See Series, highlighting the talks our staff especially loved at PyCon. While there were many great talks, this is our team's shortlist. 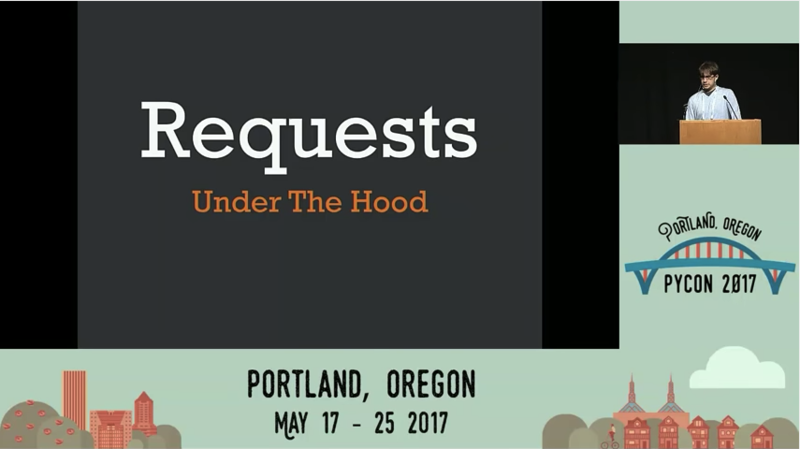 My must-see talk this year was "Requests Under the Hood", in which Cory Benfield reveals some of the dark corners in the Requests library for Python. As one of the library’s core maintainers, Cory is in a unique position to share insights about how beautifully-written code intended for a specific problem becomes dirty over time as it is adapted to edge cases, workarounds, or hacks once deployed. Cory respectfully sheds light on some of Requests’ most troubling code in an effort to provide teachable moments. He’s a natural speaker, so it made for an engaging presentation. It’s a great reminder for all developers to not rush to judgment when working with legacy code.